ELLIOTT, ANDREW CHARLES, lawyer, judge, and politician; b. c. 1828 in Ireland, the son of John Elliott; d. 9 April 1889 at San Francisco, Calif.
Andrew Charles Elliott, though raised in Ireland, was admitted to Lincoln’s Inn, London, on 11 Nov. 1851 and called to the bar in 1854. In 1858 he was in chambers at Inner Temple Lane, but the following year he obtained from Sir Edward Bulwer-Lytton a letter of introduction to Governor James Douglas* of British Columbia, and left England to practise in the gold colony. He was admitted to the bar of British Columbia in June 1859. To his disappointment he discovered that no county court system had been organized and he anticipated a short stay in the colony. In September, however, Elliott learned from Douglas that he intended to establish county courts, and Elliott accepted the appointment of county court judge for the district of Yale and Hope at a salary of £200 plus fees. His commission was issued on 10 Jan. 1860 and in the execution of his duties he proved to be fearless among the turbulent miners at Yale. At the conclusion of the mining season Elliott requested leave to return to England. When he arrived back in the colony in July 1861 he was accompanied by his wife Mary and their daughter. Douglas now offered to appoint Elliott gold commissioner and stipendiary magistrate for the Lillooet district at a salary of £400. Elliott was “in no way enthusiastic” about moving his family to the tiny settlement of Lillooet which was at the terminus of the Harrison–Lillooet Road to the Cariboo goldfields. Once at Lillooet, however, he found companions among the scattered ranchers, and formed a good opinion of the local native people whom he considered industrious and enterprising. When he marked out the Indian reserves he saw to it that they obtained large holdings of well-watered pastoral land. Although Elliott’s health and constitution were poor, he was, in Douglas’ view, “an active popular Magistrate.” He was appointed to the Legislative Council by Governor Frederick Seymour*, Douglas’ successor, and was a member in 1865 and 1866. After the union of British Columbia and Vancouver Island in November 1866, Elliott was one of the supernumerary officials for whom Seymour wanted to find a place. During this period of extreme financial stringency, Seymour asked Elliott to hold the position of high sheriff, and promised to restore his judgeship when conditions improved. Elliott agreed in March 1867, and soon took up residence in Victoria. At confederation with Canada in 1871, Elliott was still high sheriff. Twice in 1872 he applied to the Canadian government for a judgeship, but received no satisfaction. In 1873 the office of high sheriff was abolished by the provincial legislature and the following year Elliott became police magistrate of Victoria. 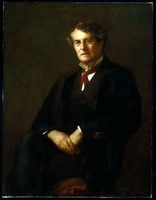 In the autumn of 1875 Elliott was elected to the Legislative Assembly as a member for Victoria and eventually became the leader of the opposition [see William Smithe]. After the government of George Anthony Walkem* was defeated on 25 Jan. 1876, Elliott was summoned by Lieutenant Governor Joseph William Trutch* to form a ministry, assuming office on 4 February. 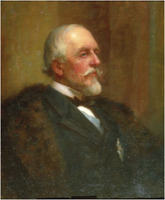 Unlike his predecessor, who was accused by the Daily British Colonist and Victoria Chronicle of “extravagance, dishonesty, tyranny and arrogance,” Elliott when he became premier had a reputation for honesty and gentlemanly behaviour. “Nearly twenty years in office and not rich!” exclaimed David William Higgins*, the editor of the paper. In his subsequent election campaign for endorsement Elliott promised to obtain complete fulfilment of the Carnarvon Terms. These terms, a compromise between the governments of British Columbia and Canada, were proposed in 1874 by the colonial secretary, Lord Carnarvon, after Canada had become delinquent in fulfilling the railway promise of 1871. They included the offer from the federal government of a railway from Esquimalt to Nanaimo, on Vancouver Island, in return for the province’s agreement to extend the ten-year limit for the completion of the transcontinental railway. Elliott won a victory at the polls on 21 Feb. 1876, but by the time the legislature opened on 15 April, a critical juncture had been reached in the province’s relations with the federal government. In January Walkem had forwarded to the queen a memorial endorsed by the legislature which outlined the province’s grievances and threatened secession from Canada. The petition echoed the general exasperation in the province with the policies of the Alexander Mackenzie* government; the legislation for the island railway proposed by Lord Carnarvon had been defeated in the Senate on 5 April 1875, and on 25 September the Privy Council, accepting Edward Blake*’s argument that the island railway was a mere local work which had been intended as compensation for the unavoidable delay in construction of the transcontinental, offered in its place a cash bonus. With the appeal to the imperial government resting at the Colonial Office, Elliott turned his attention to provincial fiscal matters. He discovered that Walkem had handled finances so irresponsibly that the Bank of British Columbia had cut off the government’s credit, that a temporary loan from Sir James Douglas had been arranged, and that federal subsidy and debt allowance payments for 1876 had been drawn and expended. Despite the federal guarantee for support provided in the terms of union, the Esquimalt dry dock, then being constructed, was such a sink-hole for provincial funds that an approach for more assistance had to be made to Ottawa, and in July 1877 Elliott invited the imperial government to take over the work. To replenish the empty treasury and obtain funds for rising school costs, repairs to the Cariboo Road, and the expense of the Indian reserve commission, Elliott instituted real estate, income, and school taxes, as well as a tax on wild lands, and re-imposed the road tolls abolished in 1871. By these measures Elliott succeeded in putting the province’s finances on a sounder basis which in turn allowed him to secure the release of the federal subsidy, at this time some $213,000. But his heavy impositions were unpopular; the property and income taxes caused “great discontent,” and the federal minister of justice, Blake, disallowed the act reimposing tolls on the Cariboo Road on the grounds that they interfered with trade and commerce. 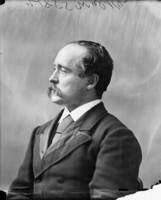 In the matter of the railway dispute with the federal government, Elliott was a moderate who welcomed the news in June 1876 that Governor General Dufferin [Blackwood*] intended a goodwill visit to the province. Unfortunately, Lord Dufferin’s first impression of Elliott was not favourable: Elliott seemed “a Dublin lawyer of respectable, but I should say of no more than respectable ability . . . .” By the time of Dufferin’s departure, the premier appeared in a better light: he was “a very reasonable man,” whose ministers had “made up their minds not to go on crying out any more for the Esquimalt & Nanaimo Railway, and the secession folly on that account, was also knocked on the head.” In March 1877, when Elliott agreed to a season’s delay in starting the construction of the island railway, the governor general credited him with “allaying all local impatience” and extinguishing “the firebrands.” No strong protest issued from Victoria when in December 1877 Mackenzie announced that the Fraser River route had been chosen for the Canadian Pacific Railway. But when in May 1878 there was a further announcement to the effect that Esquimalt had definitely been eliminated as the terminus of the transcontinental, Elliott’s popularity was destroyed in his own riding of Victoria. Though as a magistrate Elliott had been “brave to a fault,” as a politician he was a poor disciplinarian. 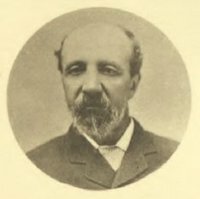 In 1876 he had to dismiss Thomas Basil Humphreys, his finance minister, for being uncooperative, and Ebenezer Brown, president of the Executive Council, for advocating a railway policy contrary to his own. Under the loose system of personal alliance which characterized British Columbia’s politics of this period, Elliott’s support continued to wane. He had inherited many problems from Walkem, and on the floor of the house he was no match for that wily politician, who cast Elliott in the role of traitor to his province. “A genial, whole-souled gentleman of generous impulses,” Elliott found it difficult to deny favours to prominent men or old friends. Thus in 1876 he yielded to pressure and endorsed a policy to exclude Chinese immigrants. When a labour dispute occurred at the Wellington coal mine, he agreed with the owner, Robert Dunsmuir, that the militia should be called out. But despite failings of this sort, Elliott made an important contribution in the sphere of dominion-provincial relations through his temperate stand in the railway dispute. In 1879 when Walkem, back in office, attempted to rouse the population to secession, he was unsuccessful. The Elliott ministry was defeated on a redistribution bill, the legislature was dissolved on 12 April 1878, and only eight of Elliott’s supporters were returned in the May election. Elliott resigned on 25 June 1878 and left political life. His last public service to his province was as one of the three commissioners appointed on 28 Oct. 1884 to investigate the Indian troubles at Metlakatla following William Duncan*’s dismissal [see Alexander Edmund Batson Davie]. After his retirement as premier, Elliott made every effort, including a visit to Prime Minister Sir John A. Macdonald* in Ottawa in 1882, to obtain from the Canadian government the pension he felt he was entitled to as a former colonial official. His efforts were to no avail. Elliott was in London in 1881, arranging support for his pension claim, when his wife died suddenly in Victoria. Two years later, having returned to Victoria, he served as pallbearer on 14 Nov. 1883 at the funeral of his son-in-law, James William Douglas, the only son of his old friend Sir James Douglas. Elliott himself continued to suffer poor health, and, when he was in San Francisco in March 1886, three physicians advised that it would be dangerous for him to return to the northern coastal climate. He took up residence in San Francisco and died there on 9 April 1889. His daughter brought his body back to Victoria, where on 17 April he was buried. Bancroft Library, Univ. of California (Berkeley), A. C. Elliott, “British Columbia politics . . . information given at San Francisco 1880” (copy at PABC). PABC, B.C., Colonial Secretary, Corr. outward, 1859–70 (copies); GR 495; Colonial corr., A. C. Elliott corr. ; Crease coll., H. P. P. Crease, Corr. inward, 1868; A. C. Elliott papers. PAC, MG 26, B. B.C., Legislative Assembly, Journals, 1875–78; Sessional papers, 1876–77. Can., Parl., Sessional papers, 1871, IV: no.18; 1875, VII: no.19; 1885, X: no.34. Dufferin–Carnarvon correspondence, 1874–1878, ed. C. W. de Kiewiet and F. H. Underhill (Toronto, 1955). Daily Colonist (Victoria), 10, 13 Feb. 1874; 27 Jan., 22 Feb., 2, 12 April, 6 May 1876, 15, 17 Dec. 1881; 11, 18 April 1889. Mainland Guardian (New Westminster, B.C. ), 1877–78. Victoria Daily Standard, 1877–78. Thomson, Alexander Mackenzie. Edith Dobie, “Some aspects of party history in British Columbia, 1871–1903,” Pacific Coast Hist. Rev. (Glendale, Calif.), 1 (1932): 235–51. R.E. Gosnell, “Prime Ministers of British Columbia: Andrew Charles Elliott,” Vancouver Daily Province, 23 March 1921. J. A. Maxwell, “Lord Dufferin and the difficulties with British Columbia, 1874–1877,” CHR, 12 (1931): 364–89. M. A. Ormsby, “Prime Minister Mackenzie, the Liberal Party, and the bargain with British Columbia,” CHR, 26 (1945): 148–73; “Some Irish figures in colonial days,” BCHQ, 14 (1950): 61–82. Margaret A. Ormsby, “ELLIOTT, ANDREW CHARLES,” in Dictionary of Canadian Biography, vol. 11, University of Toronto/Université Laval, 2003–, accessed April 24, 2019, http://www.biographi.ca/en/bio/elliott_andrew_charles_11E.html.